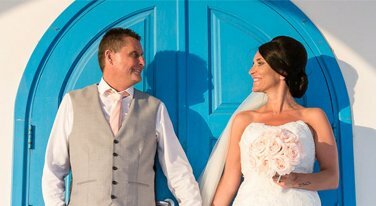 Home - Welcome to Beach Weddings By Carole Cyprus. 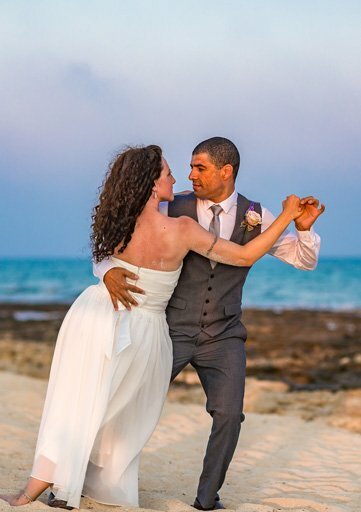 See Our Great Beach Wedding Videos! See our great beach wedding videos! Check out the fantastic build up of our couples weddings and also their special day amongst the Ayia Thekla, Cyprus Beach surroundings. Cyprus Wedding Packages All Inclusive. With our knowledge of the area, we are able to offer a service tailored to your requirements and budget. Contact us now. 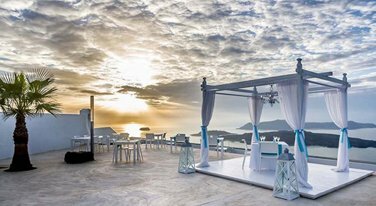 This Ayia Thekla Cyprus package includes everything that you require for the perfect stress-fress wedding Abroad. There are no hidden extras. View our magnificent beach venue, with stunning views, situated in Ayia Thekla, Cyprus. The average wedding in the UK is £30,000 which is miles away from our prices of only - £3,200. 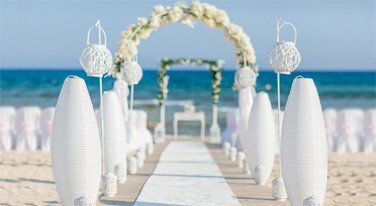 With this you can purchase an all inclusive ceremony package on the beautiful island of Cyprus with the golden sand between your toes and the turquoise ocean watching your back. 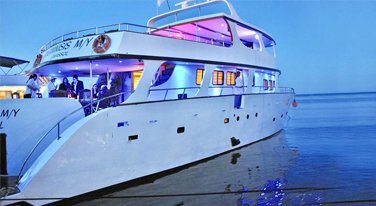 Or maybe you and your partner would prefer to get married out on a yacht in the Mediterranean Ocean with crystal waters and a stunning sunset in the background to create the perfect scenery. This all seems very expensive, however we charge only £4500. This beautiful beach is covered in fine-golden sand and has calming waters rippling at your feet. These harmonise perfectly to create a hypnotizing scene. This, coupled with the fabulous wedding decorations, would create a flawless scene to be remembered by you and your guests forever. Cyprus is a perfect location for families and individuals of all ages. The island is filled with heart-racing activities and relaxed spa sessions depending on your taste. There is no reason to not choose Cyprus as the perfect location to tie the knot and we are focused on creating the perfect ceremony and reception for your special day. We strive to present the best wedding experience for you and your guests and we are enthusiastic about meeting the goals set for us. As a private family business we are able to personally meet your needs and help to keep the planning stress-free and relaxing for our couples. Unlike larger businesses we are able to work with you personally and work around your budget. As well as that we will also organise all necessary paperwork for you to ensure your marriage is legally recognised in the UK. 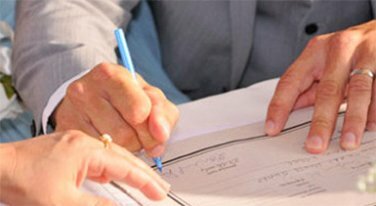 We also arrange all the necessary paperwork with the local authorities to sort out all of the legalities in Cyprus. "Hiya Lynette Carrington and Aaron Carrington we would like to thank you so, so much for making our wedding day absolutely perfect..."
"It's now been ten days since our beautiful wedding at Ayia Thekla and I'm finally getting a chance to say a huge thanks to the Beach Weddings by Carole team - Lynette, Aaron..."
"We would like to say a big thank you to the team at Beach Weddings by Carole for making our dream wedding a reality..."
Why Book Beach Weddings By Carole Cyprus? We at Beach Weddings By Carole Cyprus are with you every step of the way, from start to finish. We offer a first rate, cost effective quality service that will be hard to beat. Not only on value for money but attention to detail and customer satisfaction. There are no hidden extras. A family run company, established for 10 years. As we are independent and not tied to a tour operator, you are free to choose your own holiday accommodation. We have great testimonials that speak for themselves.